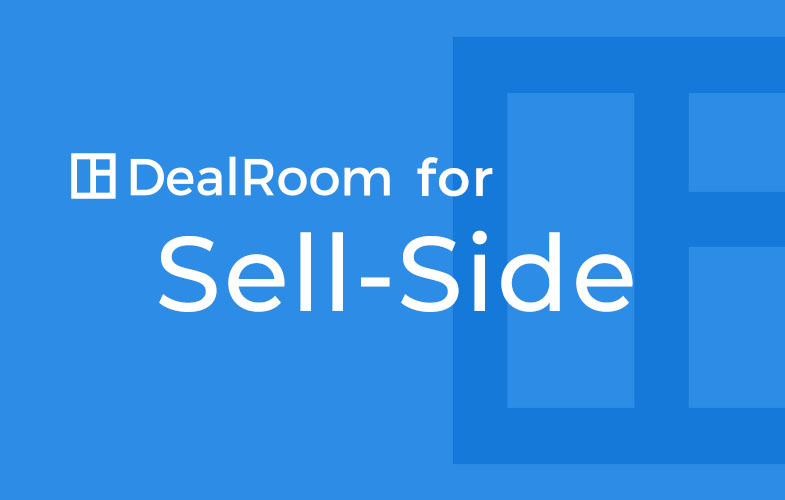 DealRoom is an Agile M&A platform that provides sell side deal teams with the innovative software and tools they need to close deals faster. 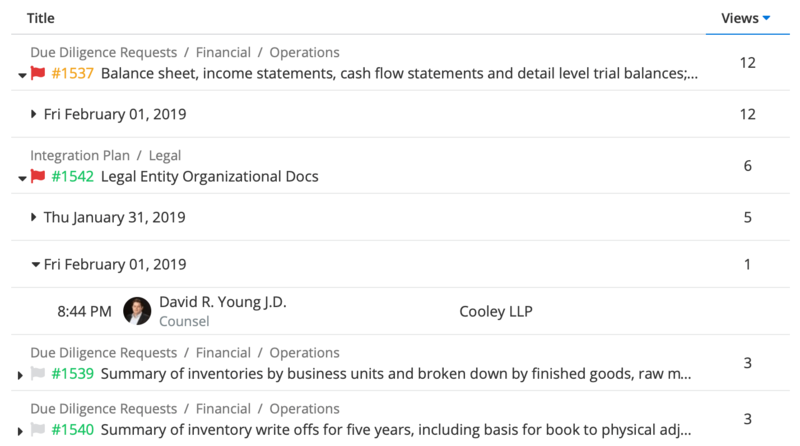 Our platform streamlines document collection, empowers team collaboration, and enables due diligence management, all while eliminating common M&A software challenges. Before a sell-side process can begin, the seller searches for the right investment bank to help them with the transaction. The investment bank creates a sell side M&A pitch book to present that includes their products and services in hopes of winning the pitch. Once the seller chooses a bank, the investment banking sell-side process begins. The deal team aims to find the most appropriate buyer, and sell the target company for the highest valuation possible. During this process the investment bank goes through many stages including the seller preparation, marketing, sell-side due diligence report creation, negotiation, and more. And as you can imagine, this includes thousands of documents that reveal the ins and outs of the company being sold. The sell-side M&A process timeline can take months, and requires teams to be detail oriented and organized. Traditional virtual data room software used for sell side transactions created many inefficiencies like work silos, lack of accountability, lost communications, and more. They are also a costly expense, on top of other sell-side M&A fees. DealRoom m&a software gives deal teams and clients a way to collaborate, communicate, and accomplish everything on the seller due diligence checklist. The software utilizes innovative technology such as document recall and smart search, to enable teams to work more efficiently, and overall, close deals faster. And our team of former M&A professionals is available for onboarding and customer assistance to make sure teams know how to use DealRoom’s full capabilities. DealRoom provides many benefits to teams going through seller due diligence on potential buyers. Our platform helps teams create a M&A sale process that is efficient, organized, and cost-effective. DealRoom ensures that every team member knows their exact responsibility and role on each request. Users can be labeled as an assignee, follower, or reviewer. Requests can also be filtered by roles, allowing users to have a bird’s eye view of team members’ responsibilities with one click. Fulfill diligence requests faster than ever before. Simply drop the proper file onto a request to resolve it. No more fumbling through spreadsheets or manually referencing index numbers. 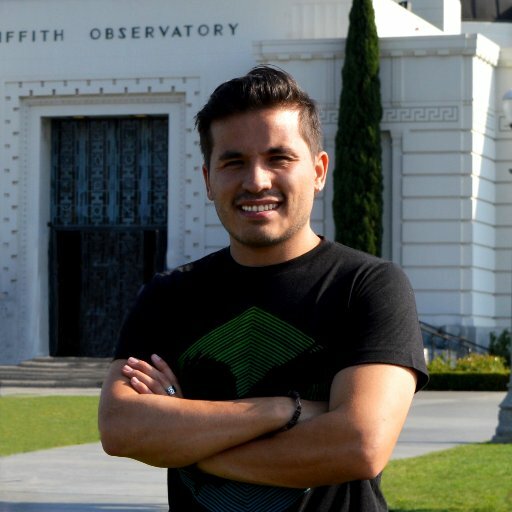 See what documents and files are getting the most attention. This helps teams catch concerns early on, and make strategic decisions quicker. If you are interested in overall room activity, the audit log tracks everything done in the . DealRoom’s live linking capabilities rapidly reduces the amount of time it takes to answer diligence requests. 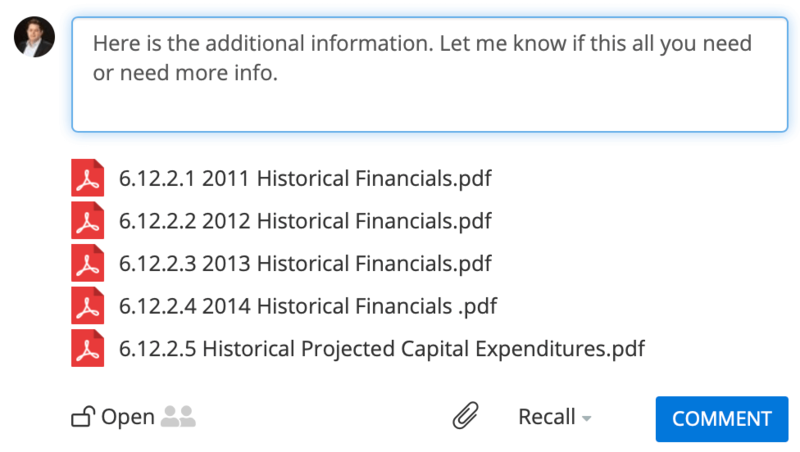 Users no longer have to look up index numbers, can create requests while reviewing documents, and see all requests related to every document. A complete room site map can also be exported into a PDF with live links. To help with initial room set up, we have premade templates available for teams to select. If we don’t have one that applies to your situation, you can send us your tracker and we will create one for you. Once a template is chosen or created, it can be imported into the room with one click. Our software helps prevent leaks and risky email correspondence between management teams, buyers, and clients. It replaces unsecured and unorganized Excel spreadsheets, which improves collaboration and prevents duplicate work. Most data rooms are encrypted, restricted and compliant with the highest SEC and FINRA standards. But encryption is worthless the moment a document leaves the secure environment via email. 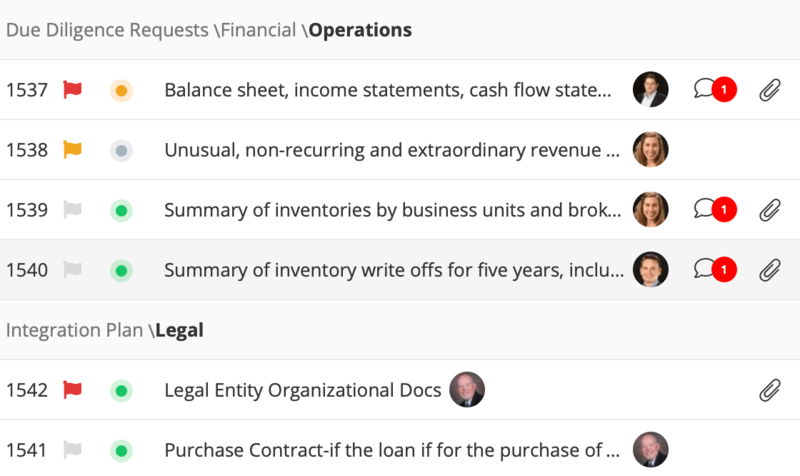 Also, financial and operational summaries are often spread out and shared using multiple word documents and Excel spreadsheets. In, DealRoom, documents are safely linked to requests inside the room and only visible to those with access. We also provide HIPPA and ITAR compliance for Healthcare or Defense related M&A. Every data room supports tracking document downloads and views. Yet, experienced buyers download all documents and never enter the room again (until they put in an LOI). We eliminate this problem. DealRoom makes it easy for buyers to get request answers in the data room. And every request has an easy to follow communication thread. Users can edit and delete comments, change the privacy status of comments, add file attachments, and more. That is why DealRoom catches risks earlier because we track the best indicator: requests. Thousands of Excel line items. Hundreds of back and forth emails. Random attachments. Duplicate diligence requests. Intricate M&A sell-side process steps. The list goes on. These are just a few of the commonly accepted inefficiencies that occur during sell-side due diligence. But what if there was a way to prevent them? That’s where DealRoom comes in. It allows you to link requests to documents inside the data room, spend less time on logistics and focus on closing the deal. Typically, buyers do a bulk download of all documents and files. They view the information and complete their part in due diligence offline. Since DealRoom gives users the capability to complete due diligence start to finish within the platform, along with other stages of a deal’s lifecycle, the platform captures useful data. Teams can track detailed information regarding buyers’ engagement such as document / file views, time spent within the room, request activity, and more. 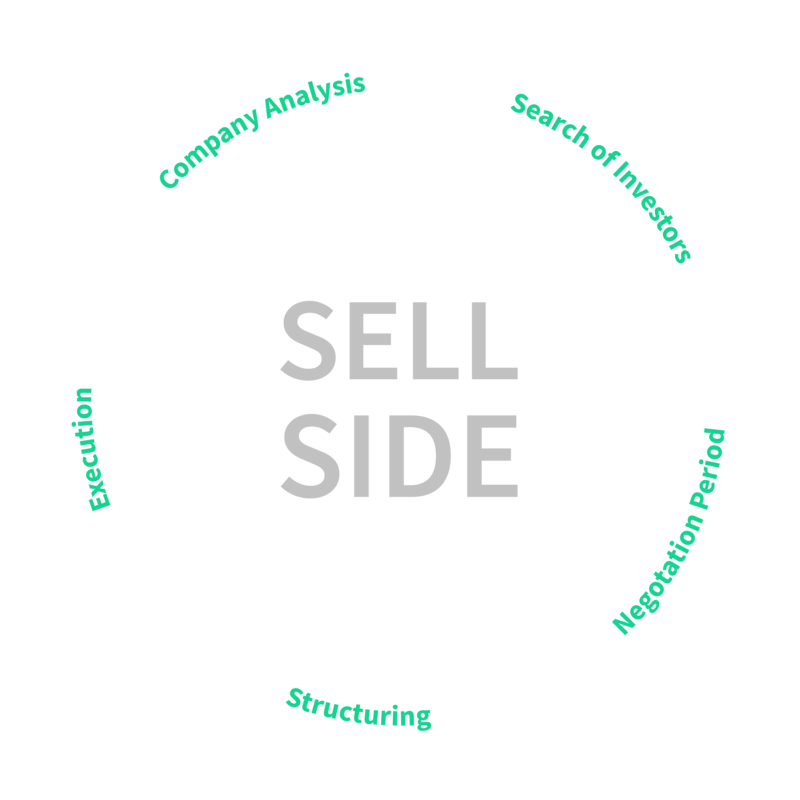 Why manage sell-side M&A the same way you did 20 years ago? Say goodbye to communication chaos, disorganized document collection, inefficient data storage, and more with DealRool. Our intuitive sell-side platform was designed to streamline the complex sell-side M&A process and help teams work smarter, not harder, to get deals closed. The platform utilizes smart technology like instant recall, smart search, and live linking to accelerate diligence and prevent duplicate work. Track activities that matter most and catch concerns early. Work like you’re in the same office as your sell-side advisor. Ask questions and get feedback without leaving theplatform. Provide access to company records and information in a secure location. Never worry about who has access to your confidential information again. SEC and FINRA compliant. Ready for HIPPA and ITAR compliance too. Document a comprehensive record of party engagement. 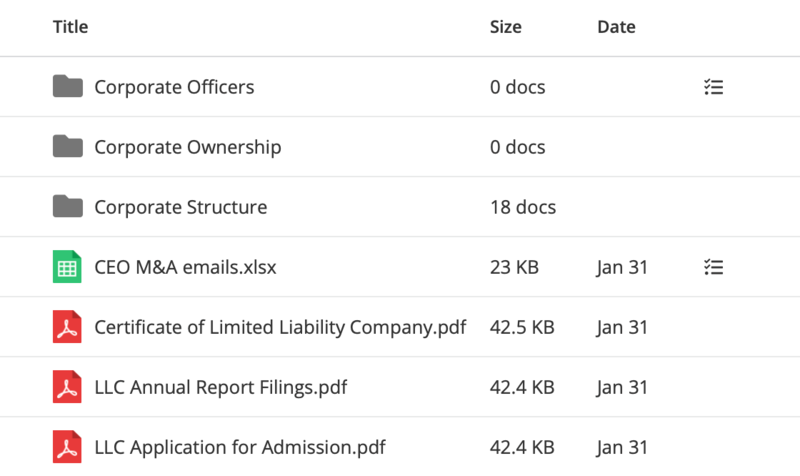 "Extremely easy to upload and organize files, delegate grants of authority and monitor access. For due diligence data collection, DealRoom is an excellent platform." Have a sell side M&A transaction coming up? Start a free trial of DealRoom today.